Our flagship store is open year-round and carries a wide selection of baked goods, grocery items, and gift ware. Call ahead and place your large or custom order for pickup at our Meaford store. 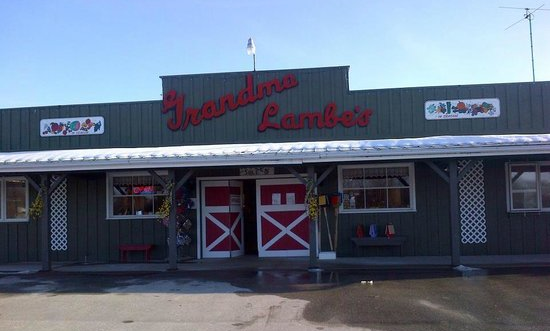 Grandma Grace Lambe can be found at the Meaford store 7 days a week, 362 days a year – only closed for Good Friday, Christmas Day, and Boxing Day. Look for Grandma Lambe’s annually at the Apple Harvest Craft Show in Meaford, Ontario on the first weekend of October. Grandma Lambe’s opened year - round in 1992, and the store has expanded four times since to accommodate the growing business. Learn more about the history of Grandma Lambe’s by taking the time to watch our video. Different apple varieties come into season throughout August, September, and October. Our apples range from slightly tart to sour, crisp and fresh to very sweet. Click this link for more information about our apples.